My best friend of 17 years has started dating my dad - how do I deal with the betrayal from both of them? 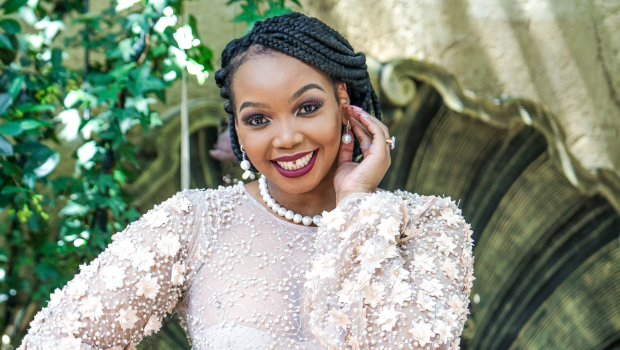 Thembisa Mdoda shares the lessons she’s learned from strong women in her life and tells us how they’ve shaped her journey. The saying goes that behind every successful man there’s a strong woman – but that is just as true for women who are built up by a supportive sisterhood. And one woman who can attest to the strength of girl power is Thembisa Mdoda. The actress, TV host and radio presenter tapped into her network when she needed them most. And she’s learnt valuable lessons from them that have taken her through some of her darkest moments to when her light shone brightest. Here the 36 year old tells DRUM about the sisterhood that’s shaped her. Thembisa’s mom, Yolisa Mdoda, was a publicist at Transnet and an SABC1 continuity presenter who exposed her daughters to the theatre from a young age. Every successful woman needs a girl squad to make her squeal with laughter and Thembisa says her siblings Anele, 34, Zama, 24 and Unathi, 38 are her best friends. “I learn things from them every day. The day I opened up to the world about my personal life, I had to open up to my sisters first.” Her split from actor Atandwa Kani was splashed all over the media in 2015, and her sisters taught her “not to be too hard on myself and to love myself and to love others in abundance”. “They make me feel like I’m enough, even when I’m not excelling,” she says. “My family taught me that you give love to your family first and then to the rest of the world, always. “Make sure your home is warm first. I have no reason to envy other people because I’m happy at home – they taught me to love. Physical fitness isn’t top of her list of priorities but Thembisa values her mental health. She’s inspired by writer, director and actress Portia Gumede. “Every woman who has an influence in my life always reminds me of my mother’s stern conviction,” Thembisa says. “Portia has come full circle in this industry from being an actress and writer to creating her own shows like Housekeepers and Sokhulu and Partners. She inspires me. The pair haven’t worked together yet but “I watch her work, the way she carries herself and being around her gives me the energy to want to do more,” Thembisa says. “She guides me, and she encourages me. Black-ish star Tracee Ellis Ross is Thembisa’s fashion icon – but she’s also heavily influenced in the style stakes by her mother Yolisa’s wardrobe. “Half of the clothes I wear belonged to my mother,” Thembisa says. “Most of the skirts, dresses, tops and blouses I wore on Our Perfect Wedding belonged to her. My mom was a lady.” She’s constantly evolving her style, she adds.